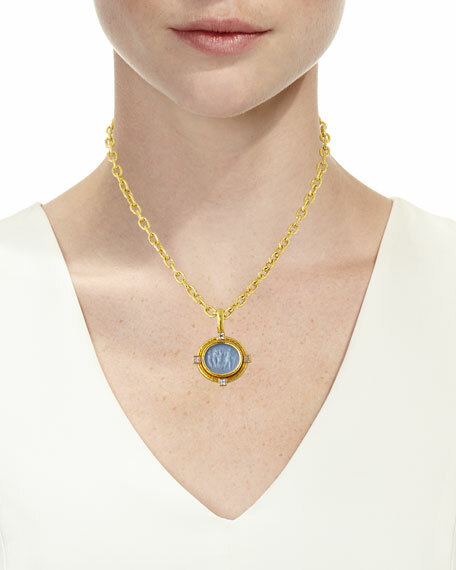 19-karat yellow gold bezel with four faceted moonstones and hammered finish. 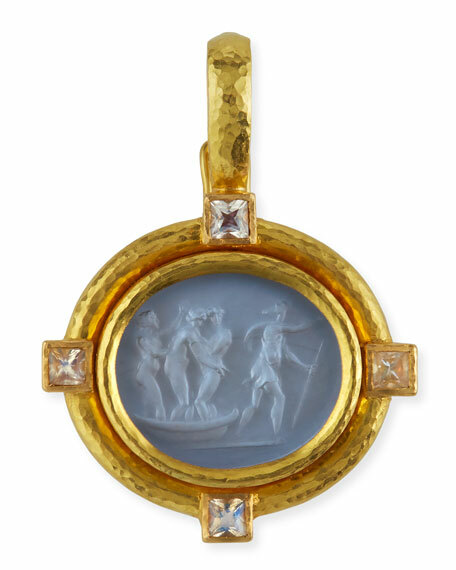 Cerulean Venetian glass center with goddess and boat intaglio and mother-of-pearl backing. Hinged bale with security latch.